Aerial view of Southville 7. Photo credit: ABS-CBN Lingkod Kapamilya Foundation. 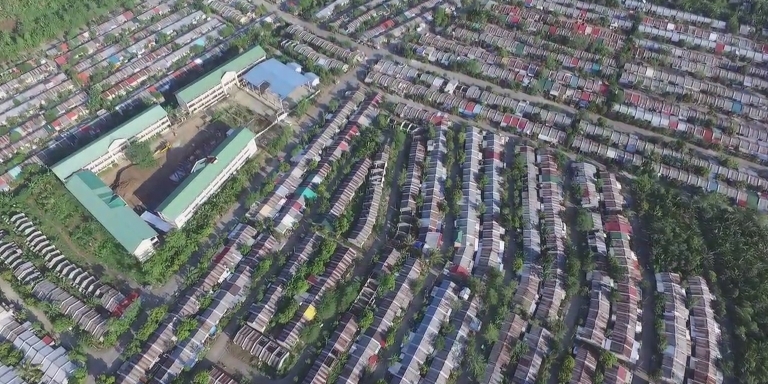 Southville 7 is regarded as a model resettlement site in the Philippines. Its success is mainly because of multisector and multistakeholder efforts led by the National Housing Authority (NHA) and ABS-CBN Lingkod Kapamilya Foundation, Inc. (ALKFI). Building the resettlement community in partnership with multiple agencies with a range of mandates and operating styles was not easy. The partners of Southville 7 overcame challenges through close collaboration and by focusing on a common vision for the community. This case study shares the impact and lessons from the experiences in Southville 7, along with a framework that outlines the steps other organizations can take to make resettlement work. It is based on a detailed report, Southville 7: Making Resettlement Work, by the Asian Development Bank (ADB), which provided a $1.5 million grant in 2012 to support multisector partnerships. 2000: NHA completes Southville 7 Housing Project. 2006: Southville 7 becomes a resettlement site. 2009: NHA and ALKFI formally agree to share management of Southville 7. 2009-2011: About 3,000 families in Metro Manila, who were displaced by Typhoon Ondoy (Ketsana), arrive. 2010: Habitat for Humanity begins building houses. 2011: Local government of Calauan issues a moratorium on relocation to Southville 7, citing a lack of resources. 2012: ADB’s Japan Fund for Poverty Reduction provides a $1.5 million grant. 2013: First homeowners’ associations register with Housing and Land Use Regulatory Board. 2013: Businesses start setting up shop, creating jobs for 300 residents. 2016: Partners formally reaffirm commitment and support for Southville 7 until 2020. Families relocate to Southville 7 in Calauan, Laguna. Photo credit: ABS-CBN Lingkod Kapamilya Foundation, Inc.
For a long time, Southville 7 in Calauan, a second-class municipality in Laguna province, was one of NHA's more challenging resettlement areas. Nestled between Laguna de Bay and Mount Kalisungan about 75 kilometers south of Metro Manila, Southville 7 is home to about 5,000 families. The housing project was built in 2000, but its relatively isolated location and a lack of services and local jobs meant that only a few took up residence. In 2006, it became a relocation site for families displaced from informal settlements and later for those who lost their homes to Typhoon Ondoy (also known as Ketsana) in 2009. This was a time before housing projects and resettlement sites were designed to include local services and social infrastructure, so conditions were not conducive to rebuilding lives after displacement. The local government of Calauan also has limited resources for the growing community. It issued a moratorium on relocation to Southville 7 in 2011. In 2009, NHA asked ALKFI to co-manage Southville 7. The housing agency took charge of estate management, while ALKFI facilitated the delivery of services not covered by the local government's limited resources. ALKFI also invited private sector and nongovernmental organizations (NGOs) to provide more housing, basic services such as water and electricity, and livelihood. ALKFI also approached the ADB, which approved a $1.5 million grant in 2012 to support multisector partnerships and address the growing challenges in Southville 7. Funded by ADB's Japan Fund for Poverty Reduction, the Promoting Partnerships and Innovation in Poor and Underserved Communities project piloted public-private partnerships to provide basic services, such as safe drinking water, and supported community development, innovation, and entrepreneurship through the Community Assistance Fund (CAF) and Community Innovation Fund (CIF). Working with many partners involved complex arrangements. 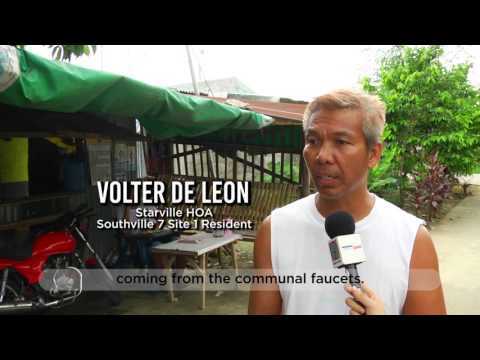 The Southville 7 project faced several challenges. Livelihood prospects for residents were limited. There were many livelihood initiatives at the site, but there were just too many people out of work. Activities funded by CIF and CAF did create some jobs, as did a few companies who outsourced some of their operations to Southville 7. Skills training also helped develop entrepreneurs. Partners saw cooperation as too time consuming. Each organization had its own way of working, and usually operated independently. The model of collaborative governance challenged every partner as it took more time and seemed unnecessary. Partners faced the pressure of their own project timelines and bureaucratic processes. For example, ALKFI proposed adding recreation spaces, a public market, health clinic, and livelihood center to Southville 7's development plan. NHA however had to go through the complex process of requesting land use reclassification for such changes, and reporting it to the Commission on Audit. Responsibilities were not clear, slowing progress. Roles and duties of partners were not clearly defined when the project began. There was overlapping of efforts and gaps in implementation. For example, NHA is the lead agency in Southville 7; however, it was not always clear if decisions were to be made at the national or at the local level. NHA cited the lack of coordination as the reason behind the relocation moratorium in 2011, which forced displaced residents from Metro Manila to look for other sites. NGOs worried about what would happen to the vacant housing units they had built and their commitment to donors. Poor coordination and communication affected service delivery. No coordinating agency emerged among the partners. NHA had little experience in working with the private sector, especially in a resettlement project. The same applied to ALKFI, for whom handling such projects was a first. As a result, service delivery was less efficient. Several NGOs conducted their own household surveys, leading to consultation fatigue among residents and inconsistent data. There was competition for community members to join projects and initiatives. Community leaders received multiple and conflicting requests from partners. Some services were not availed because of lack of referrals between agencies. Southville 7 is divided into three sites. Site 1 houses families relocated from the Pasig River and those affected by government projects in Metro Manila, such as road widening. Households from the Pasig River and identified danger zones in Calauan, Laguna, meanwhile, occupy units at Site 2. Families displaced by Typhoon Ondoy (Ketsana) reside at Site 3. The grant project piloted a model for strengthening multisector partnerships to support sustainable development of poor and underserved communities that can be replicated in the Philippines and other countries in Asia and the Pacific. It developed a partnership framework, which is at the core of Southville 7’s success and sustainability. Initiate consultations to identify the problem and propose solutions. Clearly define the project context. In the Philippines, the relocation site must be climate change-ready. Select a proponent and clarify expectations together. Identify stakeholder strengths and expertise. Map stakeholder dynamics and relationships. Prepare a stakeholder analysis to build trust among stakeholders. Hold participatory consultative meetings with stakeholders to set project goals, keeping in mind how these would help target beneficiaries. Objectives should be SMART: specific, measurable, achievable, relevant, and time-bound. Assess needs to determine the infrastructure and basic utilities required. Consult potential partners to determine services that can be delivered. A big project with a big scope, like Southville 7, includes infrastructure and livelihood development, microcredit, and capacity building. Map activities on a weekly, monthly, or annual basis with a clear start and end date. Consult with donors and partners to ensure commitments are delivered on time. Identify all linked activities, i.e., those that must be done before the next activity can be started. Involve beneficiaries in project planning. Share information and discuss issues related to the relocation. Ensure coordination between sending and receiving local government units. A database of relocated families and key data help keep information accessible. Make an inventory of available housing units and their condition. Check water, sanitation, and electricity connections. Do site inspections before physical relocation starts and ask the receiving local government unit to assist as needed. Identify project cost requirements, including management costs. Take into account all cash and in-kind contributions. Include support for regular coordination among stakeholders, as well as bigger information-sharing events like community assemblies and conferences. Set up an oversight entity to coordinate regularly with staekholders and agencies and to monitor and discuss issues. Hold regular meetings to get feedback of community members. Make membership inclusive and participatory so that all stakeholders, including community organizations, are given a voice. Design a communications plan, including a feedback mechanism for community members. Establish ways to meet stakeholders face to face regularly. Communications channels keep the partnership transparent, dynamic, and collaborative. Communications also play a key role in promoting project ownership. Set baselines, targets, and indicators to measure project success. Conduct surveys to track progress. Report as agreed with partners and assess partnerships regularly. Satisfaction surveys are one way to track program effectiveness. Consider regular reports of key indicators and milestones and tracking worksheets. Decide how to share challenges, successes, lessons, and innovations from the project to all stakeholders. Seek advice from others with experience. Be attuned to the project’s lessons and assess the factors contributing to its success or failure. Examine the good practices. developing a sustainability plan for Southville 7. Southville 7: Making Resettlement Work discusses the challenges, impacts, and lessons learned from these initiatives in detail. The project helped market vendor Lea Nabor, a Typhoon Ondoy (Ketsana) survivor, and other entrepreneurs in Southville 7 to grow their business by providing livelihood assistance and training. Photo credit: ABS-CBN Lingkod Kapamilya Foundation, Inc. Majority of residents in Southville 7 now have access to clean water through communal water stations that were set up by a public-private partnership between the homeowners’ associations and Laguna Water District. Video courtesy of ABS-CBN Lingkod Kapamilya Foundation. Residents applied the skills gained from training activities as employees and as entrepreneurs. Some opted to go to Metro Manila for higher-paying jobs but others were hired in enterprises that set up shop in Southville 7. Delivery of basic services improved. Four years after the project began, 92% of households now enjoy access to either piped water or communal water stations, while 43% have electricity. Facilities in Southville 7 include playgrounds, daycare, a health clinic, and livelihood center. Voter registration in Calauan and community participation increased. The May 2016 national elections showed registered voters from Southville 7 increased, indicating successful integration into the resettlement site. The 10 homeowners’ associations in Southville 7 represent their communities in budget and planning sessions of the local government, and women play an active role as heads of homeowners’ associations, committee members, and entrepreneurs. Southville 7 has become a model resettlement site, influencing other resettlement efforts, such as in Tacloban City, after super Typhoon Yolanda (Haiyan) in 2013. Groups, including public officials from Myanmar, have visited the site to learn about its resettlement and housing practices. Private sector partners of all sizes bring value. ALKFI invited both small and big companies to invest in Southville 7 and NGO partners, including the Salesians of Don Bosco, Consuelo Foundation, and the Ayala Foundation, also started livelihood development projects. A common vision sets a clear direction for better collaboration. The shared vision of improving lives at Southville 7 united the partners. All NGOs working in Southville 7 are now committed to supporting the community through 2020, having signed a memorandum of agreement at a workshop in March 2016. The Southville 7 partners agreed to continue supporting the project at the Multisector Partnership Framework Workshop in March 2016. It was attended by NHA, Municipal Government of Calauan, Barangay Dayap, Barangay Santo Tomas, homeowners' associations, and NGOs in the resettlement site: ABS-CBN Lingkod Kapamilya Foundation, Ayala Foundation, Consuelo Foundation, Don Bosco Calauan, Life Project 4 Youth, and Habitat for Humanity. Photo credit: ABS-CBN Lingkod Kapamilya Foundation. All agencies must be involved from the onset and enter the partnership as equals. The municipal and barangay governments were involved from the earliest stages, but better coordination among NHA, ALKFI, and the sending and receiving local governments would have prevented many problems. Consultation and participation take time, but experience suggests they add value. Facilitation by an outsider keeps the focus on community priorities. A third-party facilitator, perceived by all partners as neutral, proved critical to the success of the multistakeholder discussions. The facilitator ensured that inputs of community representatives were placed front and center—a process that proved encouraging and empowering. Asian Development Bank (ADB). 2012. Grant Assistance Report - Republic of the Philippines: Promoting Partnerships and Innovation in Poor and Underserved Communities. Manila. ADB. 2016. Southville 7: Making Resettlement Work. Mandaluyong. ADB. Philippines: Promoting Partnerships and Innovation in Poor and Underserved Communities. ABS-CBN Lingkod Kapamilya Foundation. ALKFI, Southville 7 Stakeholders Forge Partnership on Empowered Communities.